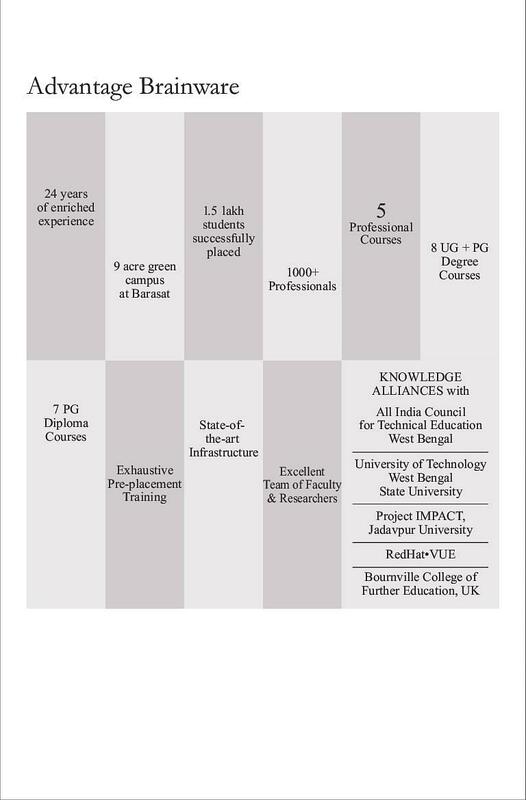 Brainware Institute, Kolkata, West Bengal works on the grounds of being a premier educational body that imparts distinctive education and develops a tutorial system in sync with the professional skills of the students. Students are guided and trained to join organizations with fresh minds, innovative ideas and competitive work environment. 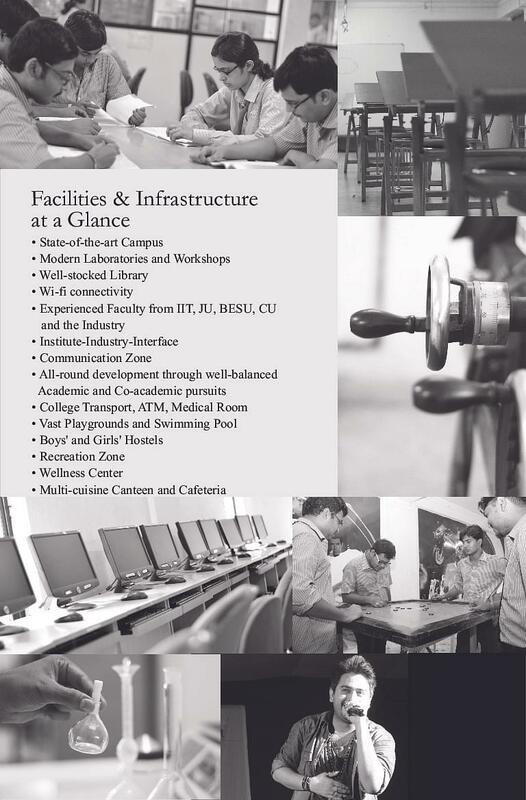 The college stands apart from the rest of the institutes due to its unerring focus on building pioneering courses that match the expectation levels of the industry. 2 kms from champadali crossing and 4 kms from dak bungalow crossing. 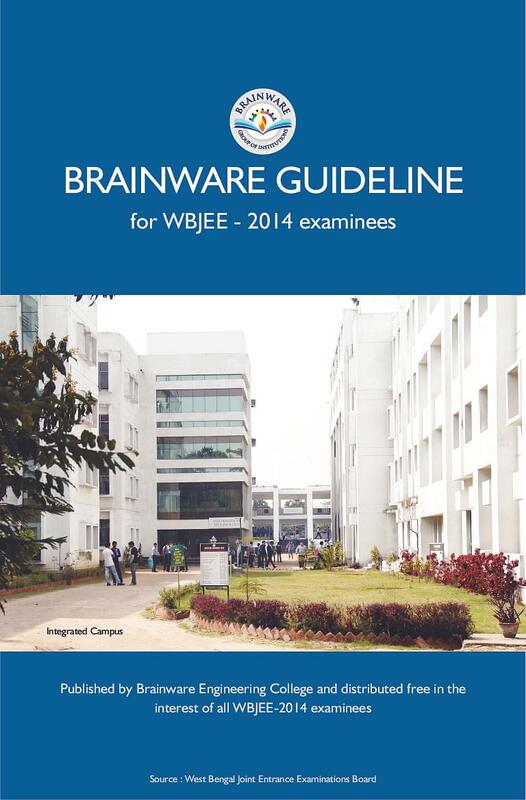 Why to Join Brainware Institute, Kolkata, West Bengal? Exhaustive pre-placement grooming sessions: The institute takes all the pains and directs the efforts of students towards goal achievement by undertaking regressive training sessions before the placement scenario is hit and various industrial experts are invited to enlighten students about the work environment and the expectation levels of the recruiters in the competitive job market. 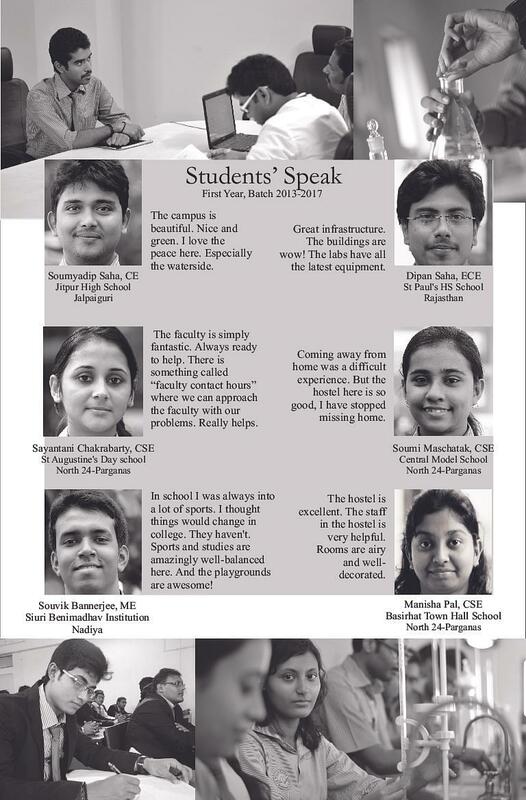 Reputed faculty: The faculty members at the institute are well versed in their areas of educational background and impart quality education to the students through research based and industry oriented learning sessions and modules. 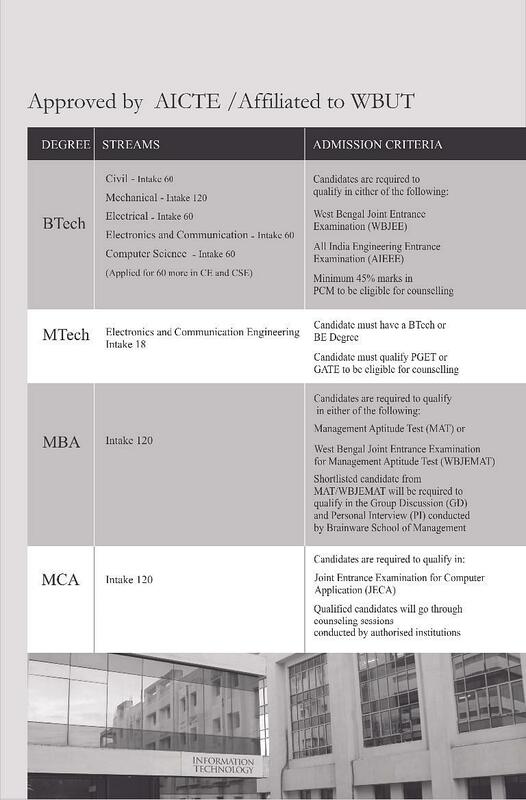 Placements: The college is popular among the management students for dragging in placements from across the nation with key recruiters as Birla Sunlife Insurance, Tata consultancy services, Capgemini, City Tech, Club Mahindra, eRevMax and future group.